It's back in the groove of work and that means back in the grove, the orange "grove" that is. The start of a new year of work can be overwhelming and daunting, but it's also a blank slate to start over, which can be refreshing in its own right. 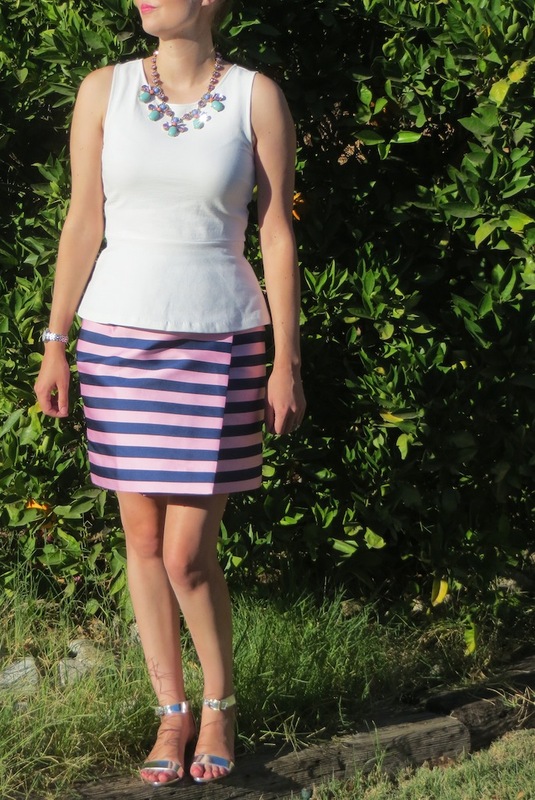 I bought this skirt a while back and I always imagined pairing it with a white peplum top. The only problem was I didn't own one at the time. You would think given the popularity of peplum lately the task of locating such an item wouldn't be a big deal, but I couldn't find one that suited me for quite some time. 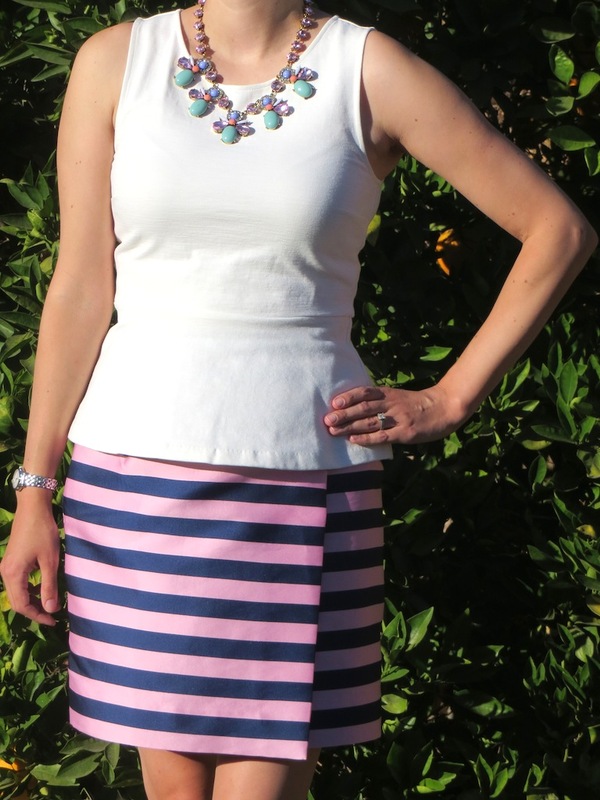 When the Ponte Peplum top from J. Crew went on sale I thought even at the sale price it was a little pricey given that it is just made of cotton, but since it would hopefully serve as a staple in my wardrobe, I thought it was okay to shell out a little more cash to get it. It turns out that this top is a great blank slate too. It can be paired with a variety of skirts, slacks or shorts. You can dress it up or down. 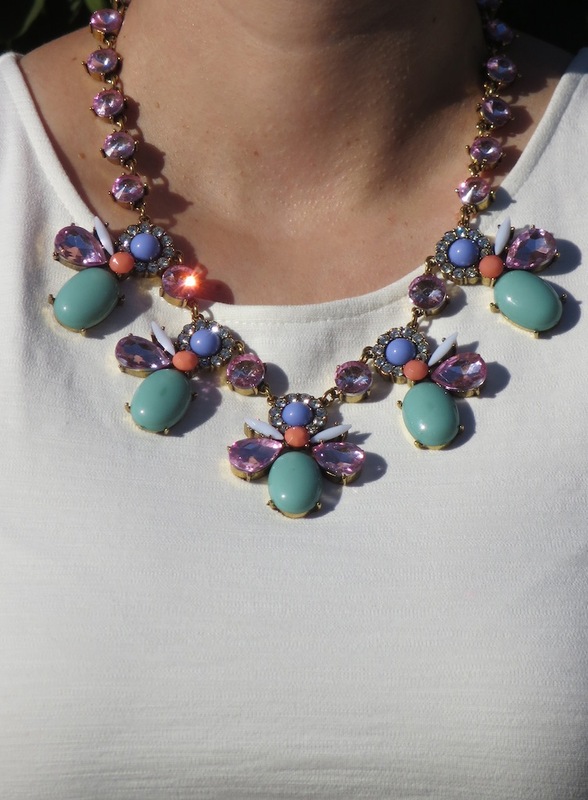 You can wear it simple or make it "snazzy" with a statement necklace. I was debating whether or not to wear a simple necklace or something more bold with this ensemble today and I'm glad I chose to be bold.